Directly send and receive social services to and from community organizations using the Internet. 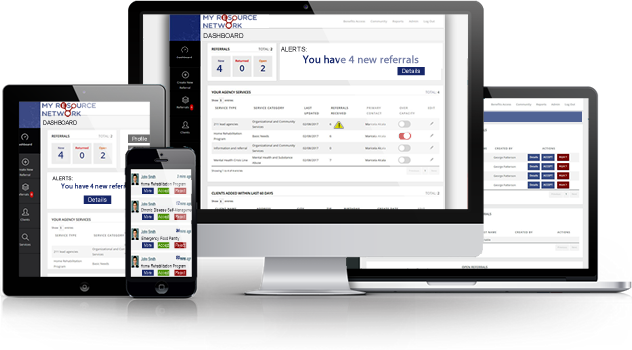 Join an online network of nonprofit social service providers who make and receive client referrals in real time. Auto-reminders prompt organizations to keep their programs, services and eligibility requirements current. Email notifications and alerts ensure staff and admins are in-the-loop on client status and when actions are needed. For large organizations, collaboratives and communities alike, this tool can be used to connect internal and external resources. No obligations! Sign up for more information on how to get connected.